A Fatherhood Mentor working in a Pregnancy Center called us one day in a bit of a panic. "I have a few dads coming into the center tonight and I don't have anything ready for them. What do you have that I can use?" he said. I quickly directed him to one of our two, easy-to-use PDF discussion guides that NFI created for this very kind of thing. 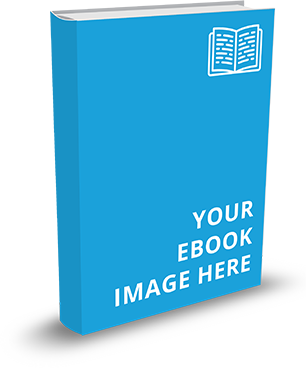 In fact, you, your staff, or fatherhood mentor can use these guides with ZERO preparation. If you had a dad sitting in front of you tomorrow, and had 15 minutes to discuss important topics related to fatherhood, where would you begin? What would you discuss? What if you wanted to talk with a mom who was struggling to understand why dad matters to her children? How would you help her understand how and why she should better communicate and co-parent with dad for the benefit of their children? I don't know about you, but I wouldn't know where to start in either case. It's for these reasons and more that we created the 17 Critical Issues to Discuss with Dads and 14 Critical Issues to Discuss with Moms PDF guides. Because they are deliverd to you as a PDF, each can be purchased and downloaded for immediate use. 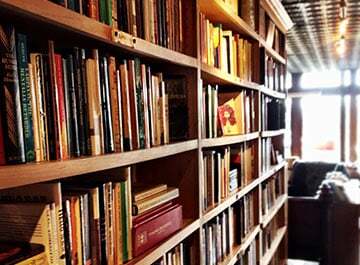 Each topic is covered in two to three pages. 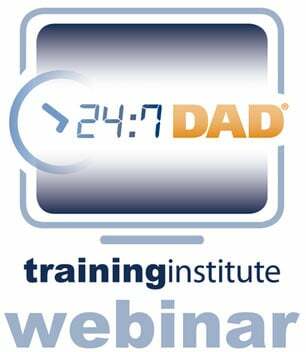 You will find background information on the topic, which includes several important factors to keep in mind when working with fathers on the topic. 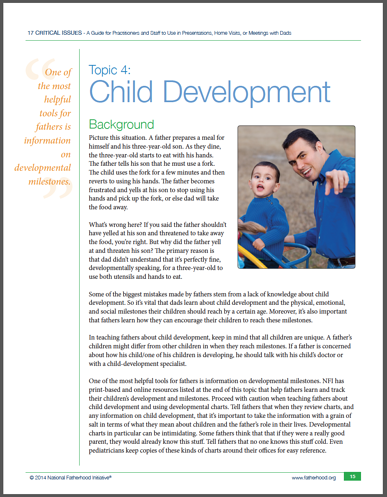 The background information is followed by key learning objectives for fathers. The topic ends with key questions that fathers should ask themselves on the topic. These key questions are tied to the learning objectives. So where did these critical issues come from, you ask? Our team, led by NFI President Christopher Brown, an applied anthropologist with more than 20 years experience designing fatherhood programs and resources and studying fatherhood and masculinity cross culturally, identified critical issues that are imperative to address when assisting dads and moms of any race, ethnicity, or socioeconomic background in becoming involved, responsible, and committed dads - and moms who can better communicate with and engage dads for the benefit of her children. And what are the critical issues? Can I see samples? Are you and your staff prepared to discuss the most important topics with moms and dads to encourage father involvement? 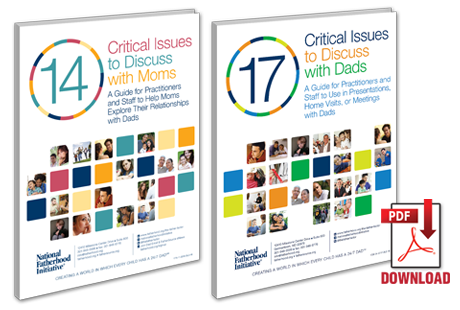 The Critical Issues Discussions Guides can be purchased on FatherSource™ for just $41.99 each and downloaded immediately.